Ready For Some Burgers And Beer? 2nd Annual Burger, Beer & BBQ Festival in Brickell presented by Taste Of Brickell Food & Wine Festival. Come join us tomorrow, June 29th 2013 from 3pm to 10pm. 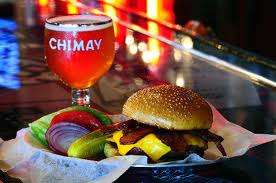 Enjoy over 20 local burger and BBQ recipes, ice cold beer, live music with the best bands in Miami, burger eating contest, and lots of other activities. Good appetite and happy weekend! The 4th of July is one of those great family events that everybody loves to participate and everybody likes to celebrate in Miami. This city offers the perfect spot to watch the fireworks whether you’re a family gay of person or just a spectator. Plan an Independence Day celebration like none other. Enjoy live multicultural music while eating delicious food from one of the many booths. Stay until dark for the fireworks which are the highlight of the celebration. The festival begins at 3pm and concludes with fireworks at 9pm. For more information, call (305) 358-7550. Remember we are waiting for you to give that warm welcome to our hotels! On behalf of everyone at the Miami Beach Hotels we wish you all a very Happy Father's Day!! Summer is here and it's time to get out and have fun. For many parents this also signals a time when the kids are home for a long time and it can be a little tense - so why not give the kids a break they'll love and treat yourself to some fun! Send the kids of to a great Florida Summer Camp and then packed you bags and enjoy some fun here in Miami Beach. Our Miami Beach hotel is your perfect Summer Getaways - located in the heart of Miami's South Beach with a fantastic beach front location and just steps away from great shopping, nightlife, restaurants and bars! 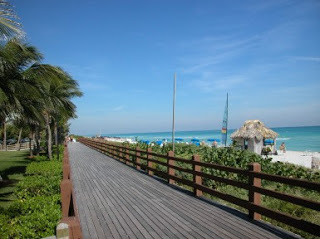 Ours hotels boast a fantastic pool, hotel beach, bar, restaurant and more all at the best beachfront rate in Miami. So call us today and come on down! Do you want to see something really funny? The Summer Shorts Festival, hosted by City Theater, takes place every year in Miami. This fest will run from June 1-17, 2012 at the Adrienne Arsht Center in Downtown Miami. The fest features the world and/or Florida premieres of short (5-30 minute) comedies, dramas and musicals by well-known and emerging playwrights. This month of June is your chance to laugh and enjoy a big entertaining. One of the largest Black heritage festivals in the United States. Enjoy colorful costumed junkanoo groups dancing to Caribbean rhythms, with rake 'n scrape instruments. Features entertainment on three stages and more than 300 vendors selling a variety of arts, crafts and food. The Goombay Festival is designed to preserve and educate the public on the rich American Bahamian heritage and traditions. The Street Festival transforms Grand Avenue into a Caribbean culture with a Bahamas flavor.